On top of custom vehicle design, Imagi-Motive offers extended vehicle servicing options. We are a one-stop shop for all of your vehicles’s repair and maintenance needs. It is our primary goal to give you everything you need to have a successful business, and to guarantee your satisfaction with all of our work. Not only will we help you build your dream project, but we’ll help you with any maintenance along the way. Food trucks are moving all the time and always busy inside. It can be a challenge to keep your food truck looking sharp on the outside and clean on the inside. Imagi-Motive can save you time and energy by deep-cleaning your entire food truck’s interior. This keeps your kitchen looking and running smoothly. Your food truck’s exterior is the first thing your customers notice. It needs to look clean and inviting at all times. That’s why Imagi-Motive offers detailed food truck exterior cleaning, including power washing for a deep clean. Why waste time cleaning when you can have the professionals do it? Oil changes are a normal part of engine maintenance. With bigger trucks and vehicles, it's even more important to get regular engine checkups and oil changes. At Imagi-Motive, we offer oil changes for a wide variety of engines. On top of that, we provide extended servicing options for all the projects we build. Whatever needs arise, we can take care of them. Imagi-Motive is an Authorized Cummins Dealer and Official Repair Shop. We care about the service you receive from us, and that includes using the best parts for your vehicle. Cummins is the leader in speciality motors, and their parts are known to be the best. If your motor need a tuneup, Imagi-Motive is certified to repair it. We've been in the business for years and can fix virtually any problem under the hood. Vinyl wraps are an awesome way to upgrade up your project, and they are an important part of branding your business. 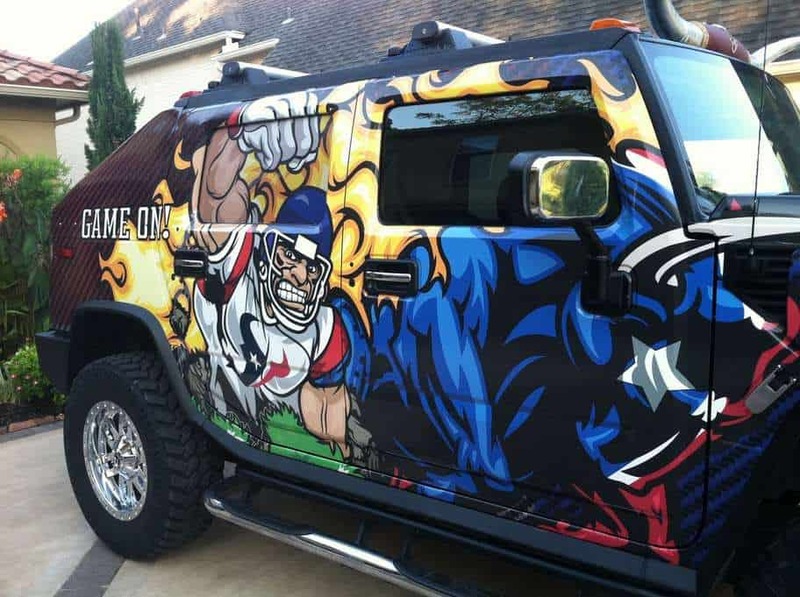 We provide wraps for any vehicle or trailer, including: food trucks, tailgating vehicles, experiential marketing trailers, and more. Imagi-Motive uses high-quality 3M decals, and we guarantee your project will look good for years to come. Some customers prefer a simple decal, while others want an entire vehicle wrap. Our team will work with you to find the perfect design. The investment for a vehicle wrap is low compared to the benefits you get. Plus, we are able to offer such low out of pocket costs because of our quick and efficient installation process. Imagi-Motive has been providing quality wraps for years. Take a look at our previous projects on our portfolio page.